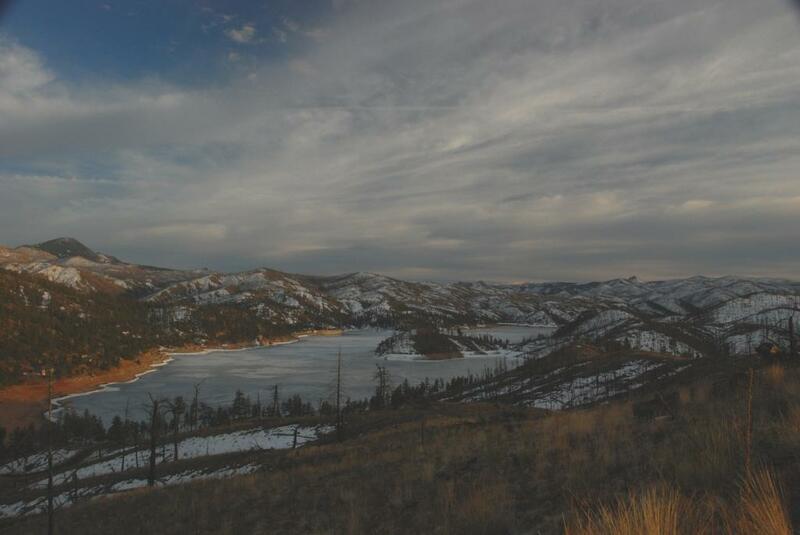 Cheesman Dam Upstream Control Project - Phase 1 - Global Diving & Salvage, Inc.
Cheesman Dam, located at 6,842 feet of elevation, is a primary reservoir for Denver Water who provides the potable water to Denver, CO and surrounding areas. Completed in 1905, it was built by Italian master masons using finely set and mortared granite blocks. Cheesman was a technological masterpiece and landmark of civil engineering for decades to come. The Upstream Control Project, Phase 1, encompassed the replacement of three internal gate valves with new hydraulic slide gates located on the upstream face of the dam. The first step was to upgrade the existing Auxiliary, Mid and Low Level outlets, located at 60′, 150′, and 200′ deep respectively. 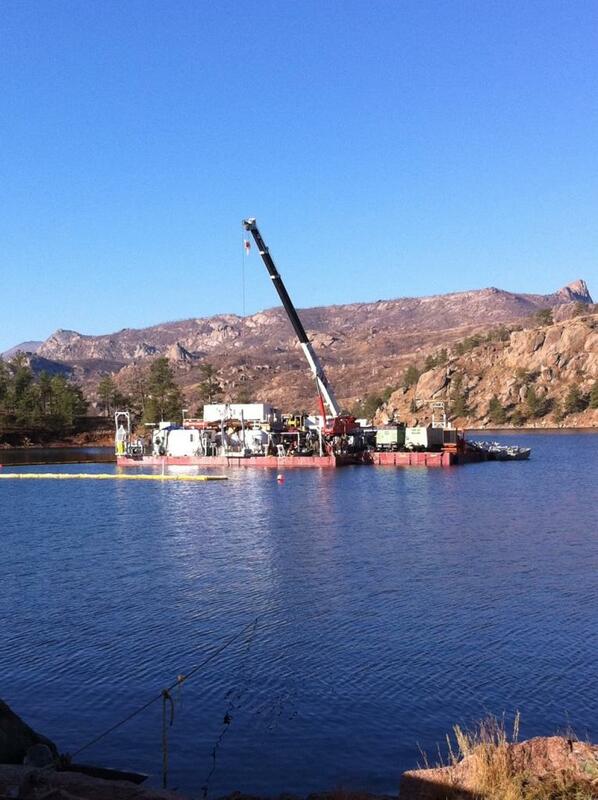 Divers worked from an 80-foot by 80-foot sectional barge platform on the reservoir. 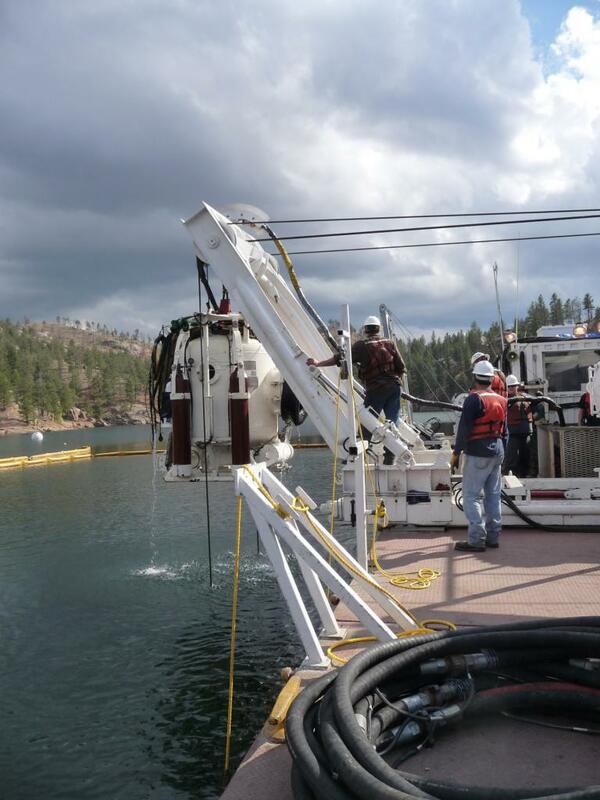 Due to the depth and the amount of work required, a combination of surface and saturation diving was utilized. The Auxiliary Level work was done using surface supplied air while the Mid and Low Level outlet work was done using saturation diving. The original bypass outlets, tunneled through the canyon wall, were enlarged to accept new stainless steel spool pieces, one weighing 29,000 pounds and other two weighing 14,000 pounds each. 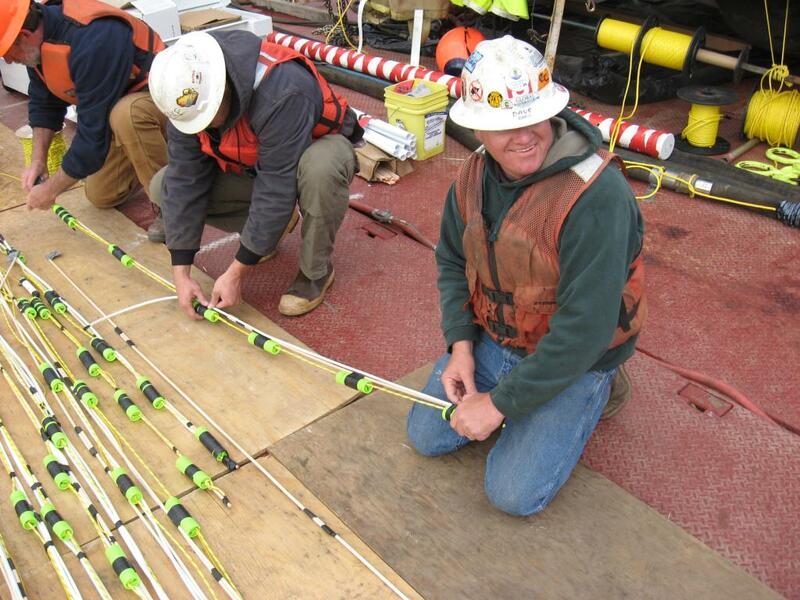 Divers drilled holes at predetermined locations and used underwater explosives to enlarge the openings to accept the new spool pieces. The spools were installed just inside the canyon wall, secured in place with epoxy anchors drilled into the native material, and securely grouted to provide a leak-free seal. The new stainless steel slide gates were then mounted to the face of the spool pieces and protected by trash racks to prevent rubble from entering the intake system. The new valves for the upstream control project are operated from a new control structure built on the crest of the dam. This structure houses the hydraulic pump unit and controls which operate the valves. To connect the hydraulic tubing to the valves, holes were drilled from the crest of the dam, exiting into the reservoir next to the gate locations. Hydraulic tubing was installed into the holes and secured in place with grout, connecting the controls on the surface to the individual valves. 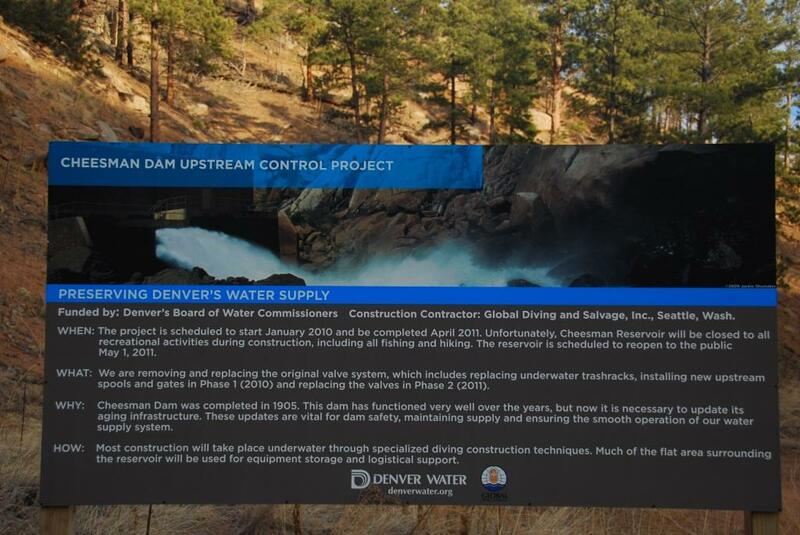 Denver Water issues notice of Substantial Completion for all Diving Construction. “Congratulations on completion of this project milestone. 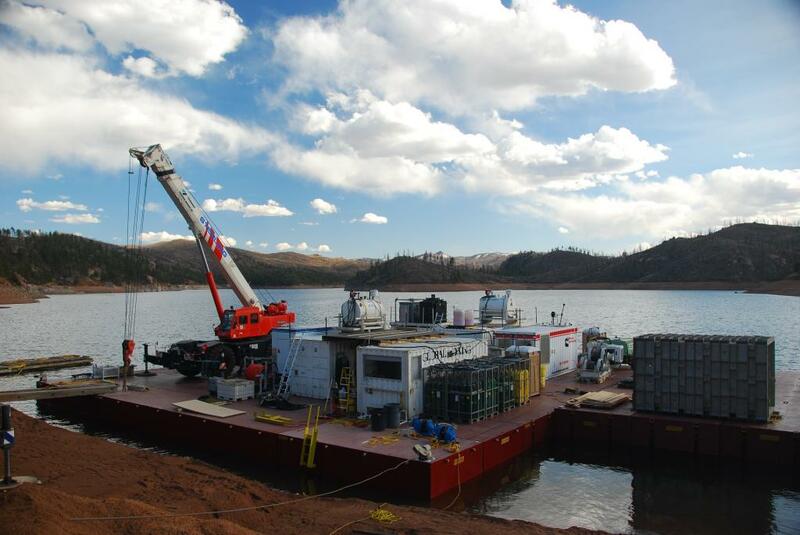 Denver Water recognizes and commends Global Diving & Salvage on a well managed diving construction project with exceptional attention to detail and quality” Jeff Martin Design Project Manager, Denver Water. 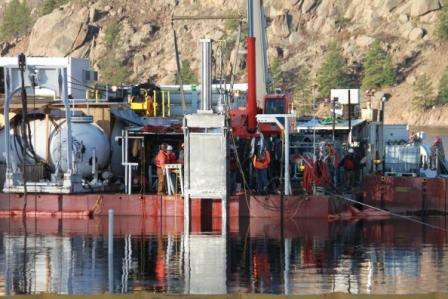 Crews will begin demobilizing the saturation dive system and the dive platform. 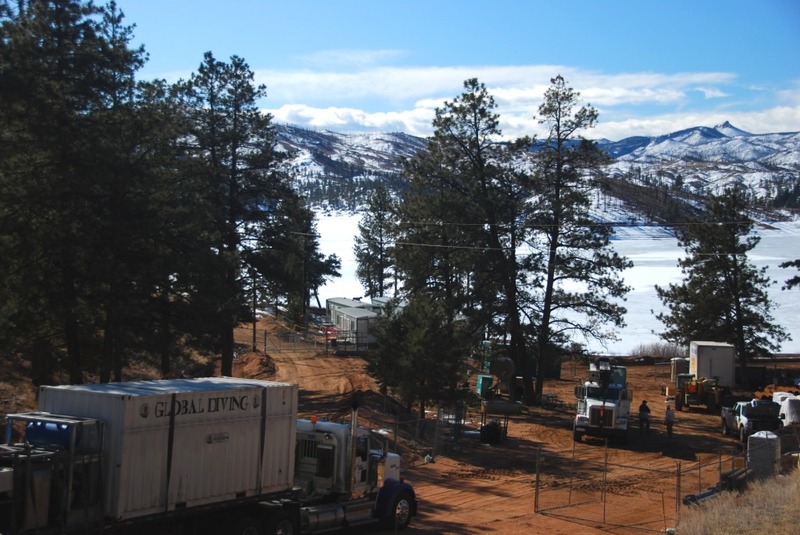 Twenty two trucks will be utilized to remove Global’s gear from the high elevation dam site. 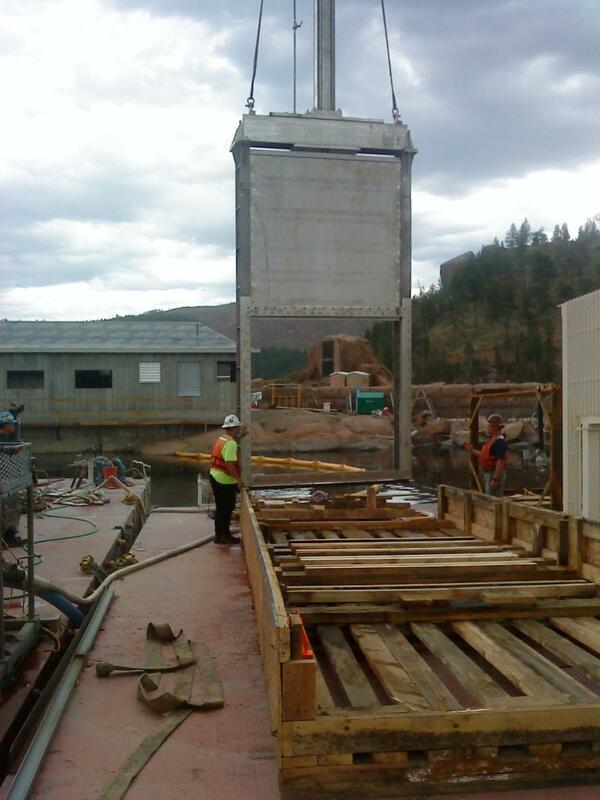 The third and final gate was set in place Friday morning. 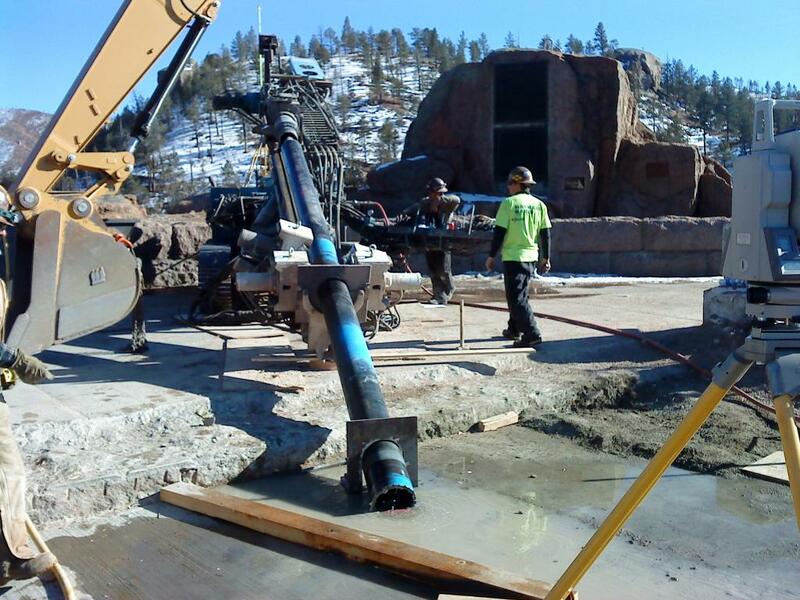 After being actuated several times on the surface in the presence of Denver Water personnel, the gate was lowered into position and bolted to the previously installed spool. The gate was then operated several more times to ensure proper function. 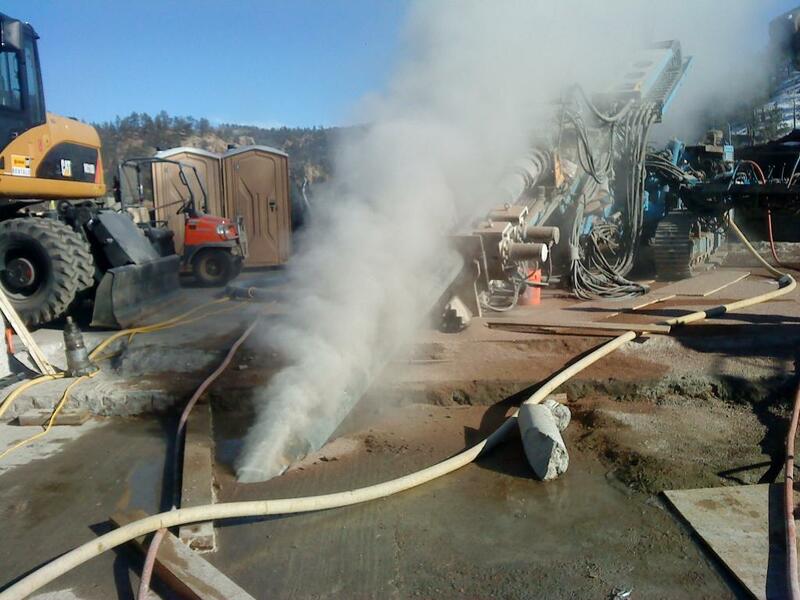 The temporary hydraulic hoses were removed and the permanent piping was installed. The Hydraulic Power Unit was tested, lines purged and the final permanent connection to the gates was made on Sunday. The gate was raised and lowered several more times using the permanent HPU. Final acceptance was granted Sunday afternoon. 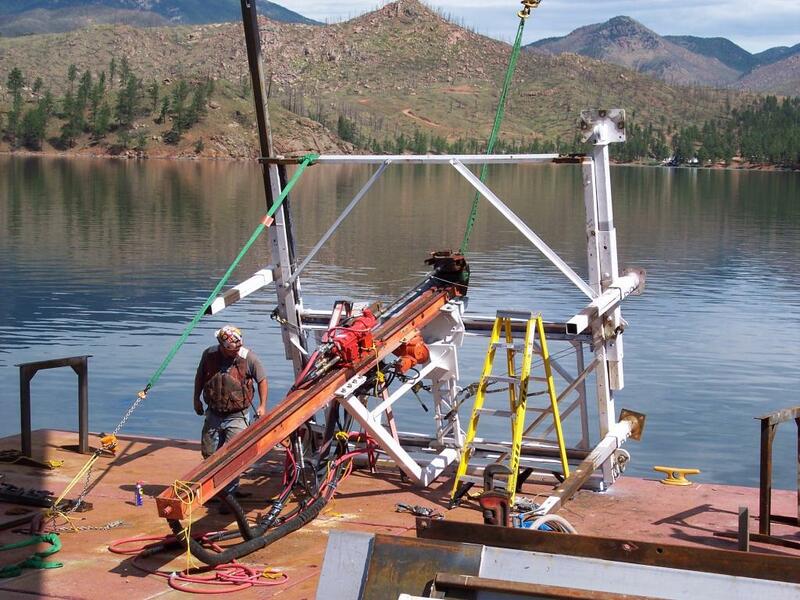 Global’s saturation system has arrived and been assembled on the surface diving barge. Crews work diligently to ensure all systems are functioning properly with a series of tests and re-checks. The saturation dive crew is on schedule to be pressed in on July 26, 2010. 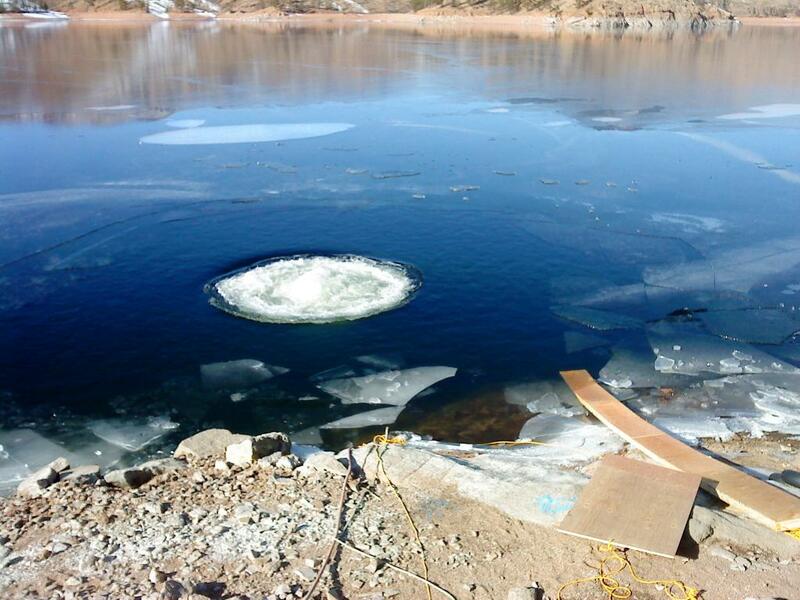 All of the submittals are in, plans approved and the ice finally melting – time to get to work! 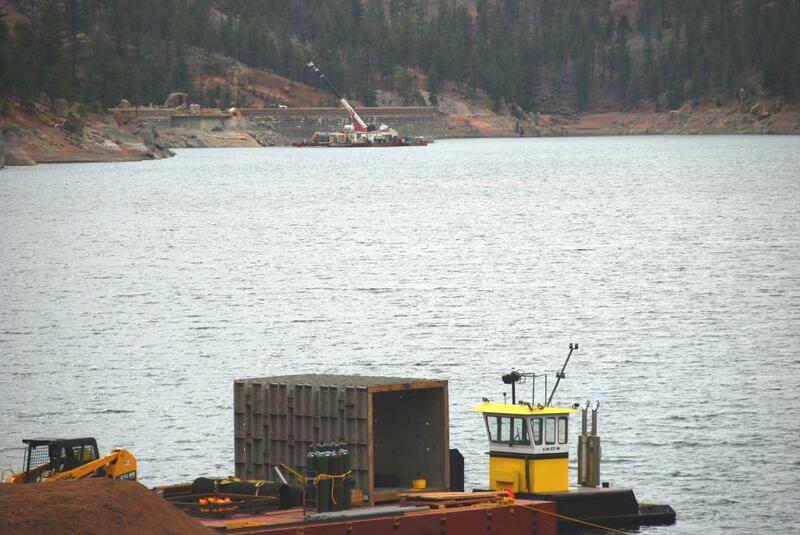 The barges have been assembled and a shallow water dive station set on board; Global is beginning work on the Auxiliary Level gate. 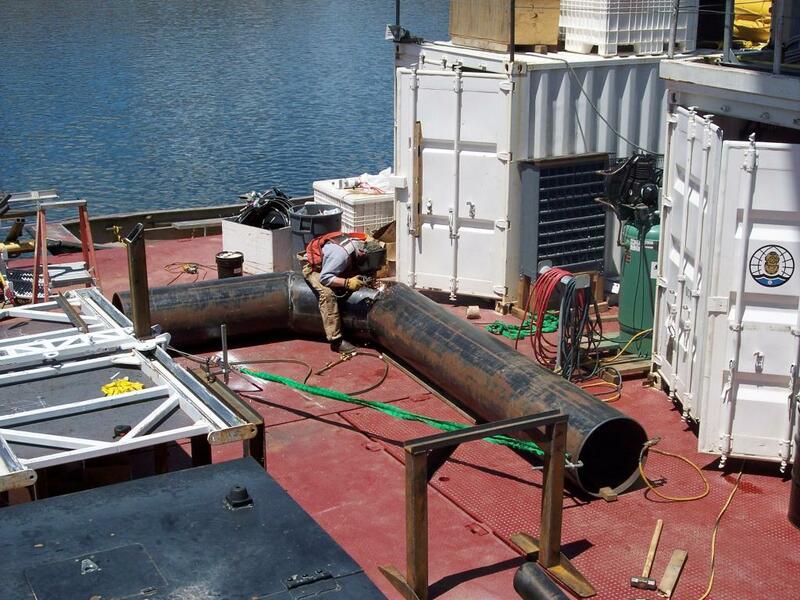 The spool piece will be installed inside the existing inlet opening and anchored in place with 64 anchor bolts. A new hydraulically operated gate valve will be attached to the end of the spool. The entire opening will be protected with a steel trashrack. 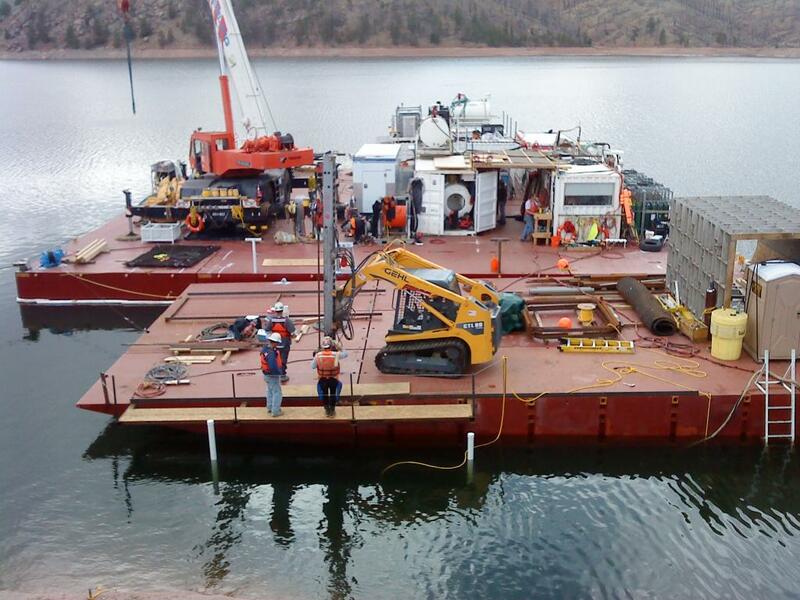 Once the Auxiliary Level Gate has been installed the barge will be brought back to shore, the shallow water dive station will be removed and a Saturation Dive Spread will be installed. The Mid and Low Level Gates will then be installed using similar procedures as the Auxiliary Level.